Here, Courtney Sunna, Allergy Standards (ASL) Vice President of Sales, interviews leaders, brand managers, and marketers who are part of a global movement towards healthier products that are rooted in rigorous science. In this interview, meet Nancy Golden, Senior Vice President Marketing at Welspun USA (click here), who helps build brand equity and consumer trust for one of the world’s largest textile suppliers. “Courtney: Nancy, in what ways does Welspun utilize third-party Certification Marks and testing programs to validate claims? Nancy: Our home textiles carry the Made in Green by Oeko-Tex® label which certifies that the products do not contain any harmful substances such as chemicals which can pose health risks and certifies that our facilities are environmentally safe. We are an environmentally aware company. Welspun organic home textiles have GOTS (Global Organic Textile Standard) certification which requires the evaluation of our entire supply chain based on stringent ecological and social requirements. Select Welspun sleep systems carry asthma & allergy friendly® Certification, administered by the Asthma and Allergy Foundation of America and Allergy Standards Ltd., to indicate that they meet strict standards for controlling allergens and, as such, are well suited for those with asthma and allergies. Dipali Goenka, CEO of Welspun India Ltd with the CEO of Allergy Standards, Dr. John McKeon, as they announced Welspun’s entry into the asthma & allergy friendly® Certification Program in 2017. We meet other industry specific standards, such as Egyptian Gold from the Egyptian Cotton Association which assures our products are made from this luxury fiber. We have actually created our own certification program for our premium fibers of Egyptian, Supima, Australian and Organic cotton called Wel-Trak®. 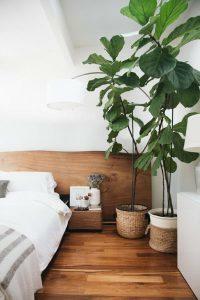 We can certify from seed to shelf that the fibers are authentic. We work closely with a third-party certification house, Oritain, which can create digital fingerprints of the actual plant seeds. Oritain is a highly respected partner of ours and they provide complete traceability that’s allows consumers to take comfort in the integrity of Oritain certified products. Courtney: Do you feel that consumers are more skeptical about words such as ‘hypoallergenic’ and ‘natural’ and are choosing healthy products more carefully? Nancy: The terms hypoallergenic and natural are loosely defined across all product categories and, therefore, have lost credibility with consumers. We conducted a social media listening study of 4.5 million consumers and found that health and wellness is top of mind for textile shoppers, as such we made the strategic decision to create anti-allergen products without the use of chemicals. Understanding that many consumers in this category are concerned about the credibility of anti-allergen claims, we partnered with asthma & allergy friendly® to give consumers peace of mind and confidence in their choice. Courtney: What are some corporate social responsibility goals that Welspun has set and how do you plan to achieve them in the coming years? How does this impact your global strategy? Nancy: Sustainability, the empowerment of women, education, health and the environment are the focus of our community efforts at Welspun. At Welspun we believe that we need to be agents of change while we grow our business and support the communities around us. Our campus in India features not only state-of-the-art zero-discharge facilities, but we have also built a complete eco-system for our employees, their families and the surrounding communities. We have an ever-growing number of smart villages, with wifi, schools, health and child care, vocational training, career guidance and adult literacy programs. In our Anjar location, we have also built a water treatment plant that allows us to not only be completely self-sufficient, but to also provide potable water to all our neighboring communities. We also have a tree plantation –converting the arid, desert environment to a lush, fertile oasis. We secure the future by empowering women, so they can sustain themselves and move toward growth and prosperity. Vocational centers have been established to teach women of the villages how to stitch, sew and embroider, allowing them the opportunity to generate income and provide for their family. We are a recognized woman owned company by WEConnect. Beyond our corporate drive to give back to our communities, we acknowledge that consumer needs are changing so we’ve looked to innovate in the areas of organic and sustainable textiles. Courtney: What has your consumer research taught you about the demand for healthier products? Nancy: Our research shows that Millennials strive to live a healthier lifestyle which includes eating right, getting restful sleep and being active. As this group ages and has more disposable income, there is more and more focus on products that address these needs. Welspun products are about a healthier, more restful sleep. That is what makes the asthma & allergy friendly® Certification so important in our world of mattress pads, comforters, pillows and sheets. If you sleep more soundly you will wake up ready to face the day. Additionally, with the rise of allergens in our environment, moms are searching for the right product for their children. Everyone wants to sleep healthy. Courtney: How do you communicate all of your initiatives to your stakeholders, consumers, and retailers? Nancy: Welspun communicates our certifications on our packages and on all our communications which include print and banner advertising among others. We work closely with our retail partners to help them communicate our certifications and their importance to consumers. Our Wel-Trak™ certification program was developed in house to offer complete supply chain transparency from farm to shelf for all our cotton products so that retailers and consumers alike can trust that the cotton that they are buying is pure. Courtney: How did you decide to create an asthma & allergy friendly® offering with a large retail chain, JCPenney? Nancy:We are excited to kick this program off with a mattress pad at JCPenney that launched in April. JCPenney has been a great partner of ours for many years. Prior to launching this program, we conducted numerous consumer usage studies, asking men and women across the country to test our asthma & allergy friendly® certified bedding. We have received positive feedback about the breathability of the fabric as well as the comfort and durability. Courtney: How is this product unique? Nancy: Our patented Nano Core™ bedding system has recently become Certified asthma & allergy friendly® and we are working on new product launches. ABOUT WELSPUN GLOBAL BRANDS LTD.
Welspun Global Brands Ltd. (WGBL), a subsidiary of Welspun India Ltd., is one of the world’s largest textile manufacturers. With a focus on innovation and customer centricity, the company has a wide portfolio of products sold in over 50 countries. The company is at the forefront of latest global trends in home fashion with in-house design studios in New York, London and Mumbai. In addition to the retail business, WGBL is experiencing growth in the luxury hospitality segment. WGBL is constantly ideating and evolving to become a leading omni-channel player. Today, WGBL is the preferred choice for home textiles internationally and is a trusted partner to over half of the top 30 retailers in the world. 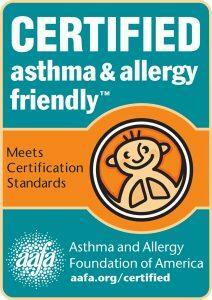 The asthma & allergy friendly® Certification Program is a unique, groundbreaking collaboration between the Asthma and Allergy Foundation of America and Allergy Standards Limited. The program tests and certifies products to prove their suitability for people with asthma and allergies. The program works with retailers and manufacturers to offer consumers products for a #healthierhome. CERTIFIED products include air cleaners, dehumidifiers, paints, bedding, vacuum cleaners, washing machines, stuffed toys, cleaning services and more. Visit aafa.org/certified for more information. 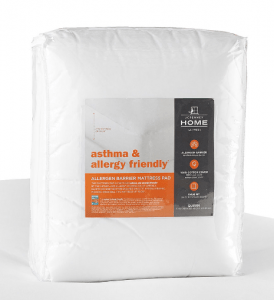 JCPenney Mattress Pad by Welspun, which is Certified asthma & allergy friendly®, click here to read the article. Welspun Introduces Wel-Trak™ a Revolutionary, Patented, End-to-End Traceability Solution, click here to read the press release.